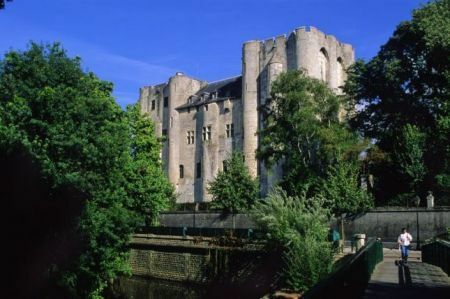 It is the last remains of a vast castle and the second largest twin tower keep in France and an exceptionnal monument.It is an exceptional building for the history of military construction in the Middle Ages. First part was built by Henry II plantagenet and Eleanor of Aquitaine, while their son, Richard Coeur de Lion, erected the second keep, the northernmost. It was extended and changed in the XVth and XVIIIth centuries. Don’t miss the new exhibition about the monument in the historic and cultural environment. 18/06/2013 Romanesque Nights - Don't miss them!